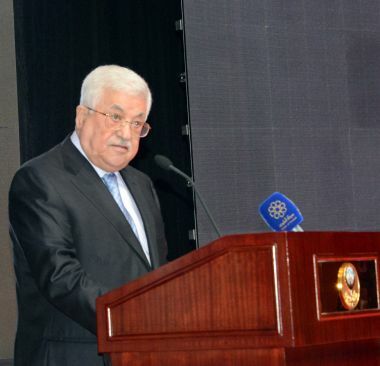 RAMALLAH-- Palestinian President Mahmoud Abbas declared that Jerusalem is his country's eternal capital, and that there would not be any peace, security, or stability without it, and no compromises. Wafa news agency confirmed the statement from the Palestinian Presidency on the condemnation of the so-called "nation-state" law, passed by the Israeli Knesset that recognised Jerusalem as the unified capital of Israel. The statement considered the law to reveal the racist side of the Israeli government in violating all policies of international law. According to the statement, these false and racist laws will not change the historical status of Jerusalem as the capital of occupied Palestine, and it will not dampen the spirits of Palestinians amid their struggle under occupation. It was made clear that the law is part of a plot to distort national cause, starting with Jerusalem in its sanctity and ending with the United States announcement to transfer its embassy to Jerusalem. The Presidency underlined that these moves would only lead to failure, and demanded that the international community intervene and assume its responsibility in preventing laws of a racist nature - through pressuring Israel to adhere to international resolutions. Under the so-called "nation-state" act, the whole of Jerusalem is considered the capital of Israel. Earlier on Thursday, Israel's parliament approved the controversial piece of legislation that defines the country as the nation-state of the Jewish people.